This is our final pre-9/11 post. 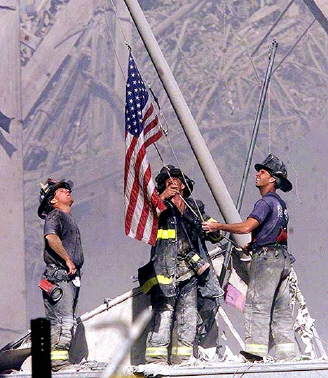 In this post we remember the nine residents that Union Township lost in the terror attacks of September 11, 2001. Located at Union High School is a plaque honoring four of the nine who graduated from Union High School. Robert Alan Hepburn took the train to his job on the 93rd floor of the World Trade Center on September 11, 2001, and planned to bring his 2 young daughters gum home as a treat. He never made it home, nor did he make it to his late September trip to his parents’ home in Florida. Edward Calderon was a dance loving security guard for the Port Authority, known for being a founding member of the Port Authority Hispanic Society. He was last seen helping dozens of World Trade Center workers to safety on September 11, 2001 and is survived by his wife and two children. Khalid M. Shahid was building a house to share with his fiancée Jamie Castro when terrorists attacked. He was a network administrator at eSpeed on the 103rd floor of the World Trade Center . Memorial donations may be made to the Khalid Shahid Memorial Scholarship, Westfield Foundation, P.O. Box 2295, Westfield, N.J. 07091. Reid Street in Union has been renamed Khalid Shahid Street. Charles Karczewski, his wife, and their two dogs lived in Union, New Jersey where Karczewski commuted to his job as a benefits consultant for the Aon Corporation on the 102nd floor of the World Trade Center. He was an adventurous man who died before realizing his plans to hike the Grand Canyon. Memorial donations may be made to the Charles H. Karczewski Memorial Scholarship, c/o the Rutgers University Foundation, 7 College Ave., New Brunswick, N.J. 08901. Brian Frederic Goldberg and his wife moved into their new home in Union just about a year before his death on September 11, 2001. When not at his full time job at Fiduciary Trust in the World Trade Center, Goldberg was a handy man who took pleasure photographing weddings on the side. Husband and father of three, Thomas J. Fisher was vice president for operations at Fiduciary Trust on the 97th floor of the World Trade Center. He loved caring for his home and loved taking his children to sporting events. Bella Bhukhan was a 24 year old immigrant from Zambia who embraced her heritage while assimilating into American culture. She was an employee of the human resources department at Cantor Fitzgerald in the World Trade Center. Wayne Alan Russo was planning his eighth trip to Italy and had just returned from a trip to India when he was killed in the terrorist attacks of September 11, 2001. He was an accountant at Marsh & McLennan on the 98th floor of the World Trade Center, a life long baseball fan, and was such a Giants fan that he was a season ticket holder for nearly twenty five years. Memorial contributions can be made to the Wayne A. Russo Memorial Fund, 407 Prescott Road, Union, N.J. 07083, which supports those organizations that were instrumental that help families affected by this tragedy. This second to last post prior to the 10 year anniversary of the 9/11 attacks highlights the some more of the other resident’s in Union County that we have not touched upon yet. These are only grouped together for space, not because of a lack of importance. All of the Union County residents who perished that day, as well as everyone who died in the attacks will be in our thoughts and prayers on this, the 10th anniversary of the attacks. The Scotch Plains 9/11 Memorial, which will contain steel from the World Trade Center, will be built on the Alan Augustine Village Green to honor not only the victims of the terrorist attacks, but also the survivors. It is being officially dedicated this Sunday, September 11, 2011. One of the three Scotch Plains’ residents who died in the terrorist attacks was Matthew Horning, a database administrator for Marsh &McLennan on the 95th floor of the World Trade Center. He is survived by his parents and a partner to whom he was planning to propose to. Memorial donations may be made to the New York Mets Foundation, Citi Field, Flushing, N.Y. 11368, or to Heifer International, P.O. Box 8058, Little Rock, Ark. 72203. Mark Rothenberg of Scotch Plains was the owner of MDR Global Resources and perished in the terrorist attacks. James Walsh was a computer programmer at Cantor Fitzgerald, a husband and a father of a little girl who turned two on the day her father died. Springfield Township will hold a 9/11 Memorial Ceremony on Saturday, Sept. 10 at 10 a.m., at Patriot Park/Community Gardens on Wabeno Avenue and Mountain Avenue. The memorial will be dedicated to JoAnn L. Heltibridle and Lee Adler, the two Springfield residents who perished on September 11, 2001. Temple Beth Ahm Yisrael will hold a meditative reflection and moment of silence at 8:46 am on Sunday, Septmeber 11. JoAnn L. Heltibridle grew up in rural Maryland and worked for Marsh & McLennan on the 94th floor of the World Trade Center. Lee Adler was a systems programmer at ESpeed, a division of Cantor Fitzgerald. He was also a husband and father of one. He is remembered by Temple Beth Ahm Yisrael where he was a trustee and where a bookshelf has been dedicated to his memory and a memorial fund has been generated for educational scholarships. Tyrone May of Rahway was an auditor with the New York Department of Taxation and Finance who rented a club in New York City every December and threw a huge party for his friends and family. He was expecting a fax confirming the tickets for 2001’s December party when he was killed at his job in the World Trade Center. He is survived by his wife and young son. Another Rahway resident who perished in the September 11 attacks was Manette Marie Beckles who was an account processor. Mark Stephen Carney and his brother had spoken about terrorism and the possibility of an attack just a few months before Carney was killed at his job at the Association of Independent Recruiters on the 79th floor of the Twin Towers. Memorial donations can be made to the American Red Cross. John G. Ueltzhoeffer of Roselle Park loved the Super Bowl so much that he shared his first date with his wife at a Super Bowl party and the birth of his first of three children was born on Super Bowl Sunday. He made missionary trips to the Dominican Republic, taught classes on evangelism, and loved remote control model planes. Ueltzhoffer was killed at his job at Marsh & McLennan on the 95th floor of the World Trade Centers. Memorial donations may be made to Christ Fellowship at the Dwyer House at Elizabeth High School. What will you do to honor the memory of those lost on 9/11? How are you planning to spend the day this Sunday? Summit lost nine of its residents in the terror attacks on 9/11. Located near the train station at the corner of Railroad Avenue and Maple Street is a plaque honoring the memory of the Summit Nine who perished on that infamous day. On Sunday at 3 pm at the Calvary Episcopal Church, 31 Woodland Avenue in Summit, the Summit Choral and Calvary Church Choir will perform the Requiem Mass in D Minor by Mozart. 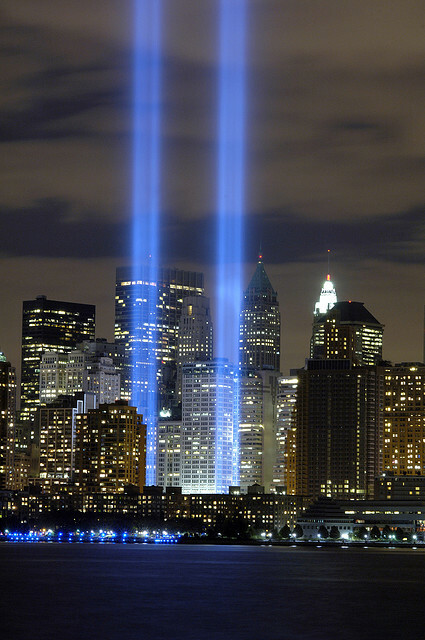 The performance will be dedicated to the memory of all who lost their lives on September 11, 2001. David B. Brady attended Mass nearly every day, volunteered at his children’s schools, and was a first vice president at Merril Lynch on the 39th floor of the World Trade Center and a resident of Summit. He is survived by his wife and four children. Mark R. Bruce was a trader at Sandler O’Neill, on the 104th floor of the World Trade Center. He was raised in a small agricultural town and loved hiking and fly-fishing. He and his wife had a weekend house in the Poconos, but longed to buy a house in Montana. He was killed before he could realize that dream. Memorial donations may be made to the Mark Bruce Memorial Fund, c/o the Community Foundation of Santa Cruz County, 2425 Porter St., Suite 17, Soquel, Calif. 95073. Thomas R. Clark was an equity sales trader and vice president at Sandler O’Neill on the 104th floor of the World Trade Center. Aside from work, Clark was an athlete, big rock music fan, and a Phi Delta Theta fraternity brother. He is survived by his wife and young son and daughter. James Lee Connor was a Summit resident who gave his friends nicknames to show that he loved them. He loved golf, a sport that led him not only to his career but also to his wife. He was a partner at Sandler O’Neil on the 104th floor of the World Trade Center. He is survived by his wife and two young sons, and memorial donations can be made to the Sandler O’Neill Assistance Foundation by clicking here. Kevin Raymond Crotty of Summit had three children that he took to the bakery every Saturday, and often took the children to soccer and dance. For several years, he was a catcher on a semi-professional baseball team in New York. He was a bond trader at Sandler O’Neill on the 104th floor of the World Trade Center. Memorial donations may be sent to the the Kevin R. Crotty Trust for Megan, Kyle and Sean, P.O. Box 1258, Summit, N.J. 07901, or the Kevin Crotty Memorial Fund at the Presbyterian Church of New Providence, 1307 Springfield Ave., New Providence, N.J. 07974. Thomas Glasser was a partner at Sandler O’Neill but also dabbled in stand up comedy, running track, owning a restaurant, and majoring in philosophy. He was a husband and father of two, and had planned to start a charitable foundation with his father for years, but died before he could realize his goal. His father started the Thomas Glasser Foundation to award scholarships in his son’s honor. Robert A. Lawrence, Jr. grew up in Summit and settled there as an adult, husband, and father. He loved to play tennis and hockey, and coached his son’s hockey team. He also played guitar, and loved to entertain his children. Lawrence became a managing director at Sandler O’Neill on the 104th floor of the World Trade Center only ten days before the terrorist attacks. A. Todd Rancke was a managing director at Sandler O’Neill and was known for his sense of humor. He was a husband and father of 3. Clive “Ian” Thompson was a native of England and came to Summit in 1992 to become an international currency broker at Euro Brokers on the 84th floor of the Twin Towers, and a volunteer on the first aid squad in Summit. He is survived by his wife and two children. Memorial donations may be made to the American Red Cross, the Summit Volunteer First Aid Squad, the Euro Brokers Fund or St. John’s Lutheran Church for the Thompson family, 587 Springfield Ave., Summit. New Providence lost six residents during the 9/11 attacks. This cozy community was shaken hard by the losses, yet they carry on and remember those residents who perished that day with honor and freedom. Gerard J. Coppola of New Providence was a rock ‘n’ roll broadcaster at 12 years old, broadcasting from his transmitter and mini radio station in his parents’ basement. As he grew older, he played in rock bands and wrote songs. Later, he was antenna engineer for WNET on the 110th floor of the World Trade Center and had a wife, four daughters, and a new grandson. September 11, 2001, was his 47th birthday. Richard A. Dunsta, father of two, was a vice president of Aon Corporation who met his wife while she was vacationing in his native England. He golfed and exercised to keep himself healthy, but died at the age of 54 when the Twin Towers were attacked by terrorists. Michael Gogliormella of New Providence perished at his job at Cantor Fitzgerald on September 11, 2011. Robert Wayne Hobson, III, had been a former broker at the World Trade Center when he left in 1994 to open Hobson’s Bar and Grill in Hoboken. His bar became a reunion place for his friends after the stock market closed each day. Later, he opened Hobson’s Choice, also in Hoboken. In 1999, he returned to Cantor Fitzgerald and worked on the 105th floor of the World Trade Center. Memorial donations can be made in his honor to the American Red Cross. Last but not least, Susan D. Murray, 54, was killed at the World Trade Center. She was an employee of Marsh & McLennan. Today, UnionCountyRE remembers four Union County residents who died during the terror attacks of September 11, 2011. Robert Kaulfers was a Kenilworth resident who wrote lyrics honoring people, studied history, and raised two children. He was also a police sergeant for the Port Authority who rushed from Hoboken and then dashed into the Twin Towers to help. Memorial donations can be made to the Robert M. Kaulfers Memorial Fund, P.O. Box 252, Kenilworth, N.J. 07033. John J. Tobin was another Kenilworth resident who died in the Twin Towers at his job as senior vice president of Marsh and MCLennan. Wanda Anita Green of Linden followed her childhood dream and became one of the first African American flight attendants at United Airlines. She was aboard Flight 93 when it crashed in Pennsylvania on September 11, 2001. Green was also an office manager and real estate agent. She was the proud mother of two children, and also served as a deacon at Linden Presbyterian Church, visiting people in local hospitals and volunteering for church activities. Anthony Infante of Mountainside was an inspector for the Port Authority Police and was planning to run the New York City Marathon in 2001. He died running up the stairs at the World Trade Center. Outside of his job, Infante volunteered with his children’s sports teams, worked in a soup kitchen, and taught religious education at his Church. Infante is survived by his wife and two children. An eight foot tall monument in Elizabeth, New Jersey, is located in front of the Midtown Elizabeth train station on West Grand Street and honors the six residents who died in the attacks of September 11th, 2011. Arcelia Castillo came to the United States from Columbia when she was a young woman and worked hard to educate herself, working two jobs and night school as a single mother. Her characteristic hard working attitude was exemplified on September 11 when she reported to her job at Marsh & McLennen on the 98th floor of the World Trade Center early. Had she not done so, she would have survived the attacks. Arcelia is survived by her two sons, daughter in law, four grandchildren, and long time companion. Carlos S. DaCosta and his father in law built a Portugal style concrete and wrought iron fence around their property so that he would always be reminded of Portugal. In fact, he sometimes took Portuguese pastries with him when he went to work as a general manager for the Port Authority. When he died on September 11th, he was survived by his parents, sister, two sons, and a niece and nephew. Memorial donations can be made to the Elmora Youth League, Elmora Avenue, Elizabeth, or to the Children’s Specialized Hospital Foundation, 150 New Providence Road, Mountainside, NJ 07092. Colleen Laura Fraser wanted to make the world a better place for people with disabilities, which she understood because of her own disabilities. She was vice chair of the NJ Developmental Disabilities council and was flying to a grant writing seminar aboard United Airlines Flight 93 when it crashed in Pennsylvania. She is survived by her sister, brother, stepmother, two step sisters, five step brothers, and several nieces and nephews. Memorial donations can be made to the Progressive Center for Independent Living in Ewing Township. Margaret Susan Lewis loved to travel to Atlantic City from her native Elizabeth and did so often when she wasn’t working at her job as a legal secretary for the Port Authority on the 68th floor of the World Trade Center. She is survived by her two sons and her brother, as well as her mother, sister, and ten grandchildren. Frankie Serrano’s dog Dino was a mastiff who was man’s best friend. Serrano worked for Genuity on the 110th floor of the World Trade Center. He is survived by his mother and sister with whom he lived in Elizabeth. Anthony Tempesta was a broker at Cantor Fitzgerald in the World Trade Center. Anthony proposed to his wife Ana at the Windows on the World and they later had two children, a son and a daughter. Anthony loved to play the bass guitar for his children. He was at work when the Twin Towers collapsed. Keep checking back for our next memorial highlight.